Today on the blog we are sharing how design team member Andressa plays with her travelers journal using our Lavender Collection and our PTJ product. Andressa used our Lavender collection along with our PTJ stamps to set up her weekly layout in her personal size travelers journal notebooks. Andressa used different epherma pieces and stickers from the Lavender collection as well as our Color Philosophy ink pad to stamp on her page. Bellow is a video on her process to set this up. Come see how Andressa uses Prima's Lavender collection on her weekly spread in her travelers journal. 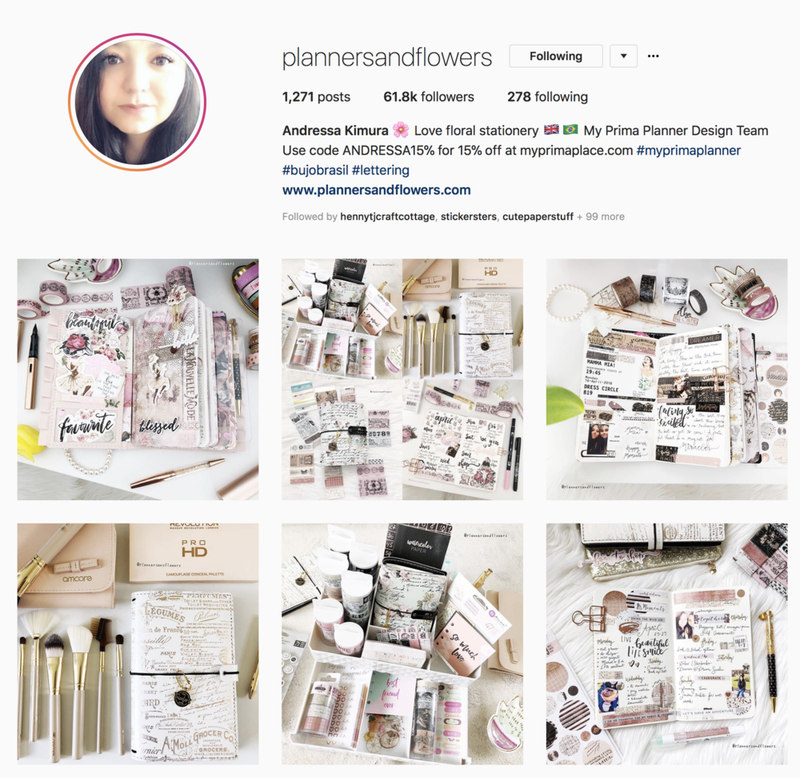 To follow and see inspirational post by Andressa be sure to follow her on her instagram account @plannersandflowers.